SUGGESTION: If you haven’t read our new Welcome II page and its updated information find it at the top of the AQ Overview page. There are livestock companions that are beneficial to each other just as there are plant companion crops. The following videos and articles are meant to stimulate your imagination. Aquaponics - Getting More Out of Less * Charlie Price - 21:02 mins. This video was listed in the Overview topic. Its inclusion here is a reminder that there are crops and livestock considerations beyond the obvious within an expanded close-looped system. He provides an insight into both the applications for aquaponics but more specifically a new approach to urban agriculture, turning wastes into resources and transforming disused urban spaces to provide not only food, but resilient communities. Collecting a Wild Honeybee Swarm * cookingupastory * 6:10 mins. When the population of worker bees exceeds the resource capacity of a hive, a portion of the colony will leave to find a new home. A swarm is the natural way for a hive to divide itself (usually) in half, and transport the new colony (with the old queen) to a temporary spot (cluster) from which select bee members (scouts) search for a new home. Beekeeping Basics: Getting Started * 4:17 mins. Black Solider fly larvae farm ... (Hermetia illucens) * 10:14 mins. Rob Bob - "It took a while but I finally finished off the BSFL barrel to where I am happy with it.. Have already taken a few larvae out to feed the fish & chooks.. The perch are not real keen on them but will eat them if left in the tank over night.. Might have to look at another way to make them appetising for the fish. The chooks have no problems gobbling them up as is though :D» Hopefully with the flies eating meat scraps it will add even more nutrients within our system." Backyard chickens 101 * Rebecca Mumaw gives a basic how-to on raising chickens in your backyard. Raising Cornish Cross meat birds from chicks week 1 * 2:41 mins. Week 1 of raising Cornish Cross chickens. I'm conducting different experiments trying to figure out how feasible it is to raise 100% of my families meat needs on my small suburban lot. Note: Series of 7 videos by BackyardUrbanFarmer. Crayfish In Aquaponics * Paul Van der Wert * 5: 29 mins. "We are growing fresh water redclaw crayfish or yabbies in the rafts of an aquaponic system. Makes for a great additional product." The Farmer Tyler Homestead * 8:34 mins. "This video examines features of my homestead with respect to ideas mentioned in the article, "Can we Feed the World & Sustain the Planet?" by Jonathan A. Foley." Raising New Zealand White Meat Rabbits * 1:21 mins. "Documenting the best ways to raise my families protein needs in a small amount of space on my urban farm." Note: Series of 10 short videos by BackyardUrbanFarmer. VERMAPONICS! 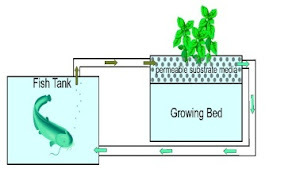 Is this the Holy Grail of aquaponics? 6:47 mins. David Epstein: "This is one of my favorite experiments. There is absolutely no reason why we cannot add worms to aquaponic ebb and flow beds. They improve soil-less medium by loosening up compacted areas and add all sorts of elements that improve root and plant growth. This is the missing link to growing heaving feeding plants. May even eliminate need for filtration." Worm Farm - Wisconsin Garden * 10:23 mins. Here's the temporary home we made for these little red wigglers in our Wisconsin Garden video blog called worm farm part 1. Watch for part 2 "Worm Farm Condo" coming soon. After all, even worms need a place for social networking. Lynn's website. This WI gardener, author and vlogger can certainly help those of us in Ohio. For comments use Contact tab upper right corner. Thank you! We have no rules so far. No "That can't be dones." No gender, political, etc. biases. to be heard and appreciated. lifestyles; after all---it is your future. step forward; mentor & participate. and --- and ---, come join us!